It's not just our bodies, either, but our minds that can also benefit from the support offered by natural substances that increase brain function. Clarity of focus, ease of concentration, and other mental faculties are often something we feel we can only dream of enhancing. Imagine being in top physical condition and mentally sharp as a tack! At ProBLEN, our scientifically-proven hormone boosters can help you achieve just that. Let us introduce you to one of the primary ingredients in our new, updated HGH formula: IGF-1, sourced from deer antler velvet. Deer antler velvet is the skin covering that is shed from deer antlers as they grow. It's an incredible natural resource with a strong, beneficial effect on the human body. 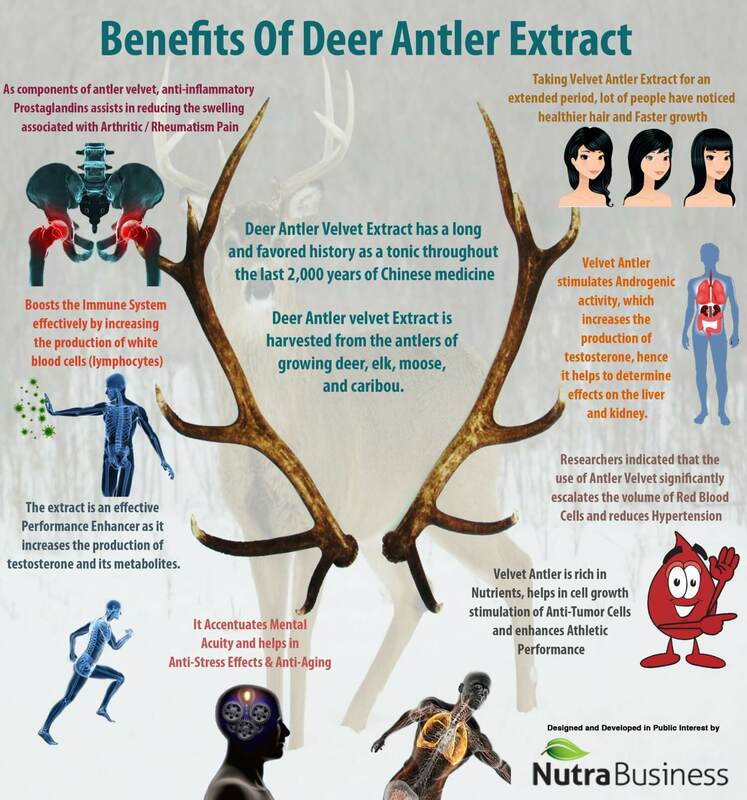 Deer antler velvet has shown proven results supported by controlled, double-blind studies. It provides a powerful boost to strength and endurance and assists with rapid recovery from illness, injury, and workouts. In addition, it increases immune system function and even helps counteract stress. IGF-1, the main active ingredient in deer antler velvet, is insulin-like growth factor which regulates human growth hormone in the body. It's so effective that it's actually been banned from usage in some sports because it's considered a performance-enhancing substance. Bodybuilders in Russia were exhibiting noticeable increases in performance over previous years, which piqued the interest of the scientific community. It turned out their use of deer antler velvet was behind the surge of power in their bodies. ProBLEN's HGH Plus IGF-1 & IGF-2 hormone booster combines the benefits of human growth hormone with the incredible effects of insulin-like growth factor. This updated formula provides your body with the means of increasing cell regeneration, which is a vital part of healing, recovery, and overall health. Whether for weight loss, energy, and stress management, libido, or breaking through a new plateau in your workout routine, this combination formula can give your body the extra edge it needs. Plus, there are no side effects and it's completely safe to take.